Hoping you had a wonderful Fall, and your winter is going well. On Sunday this past week we sat down to some legendary Kratz Lasagna at our annual Mid-Year Banquet. We had some fun catching up with each other, and got to hear some exciting announcements for this year. 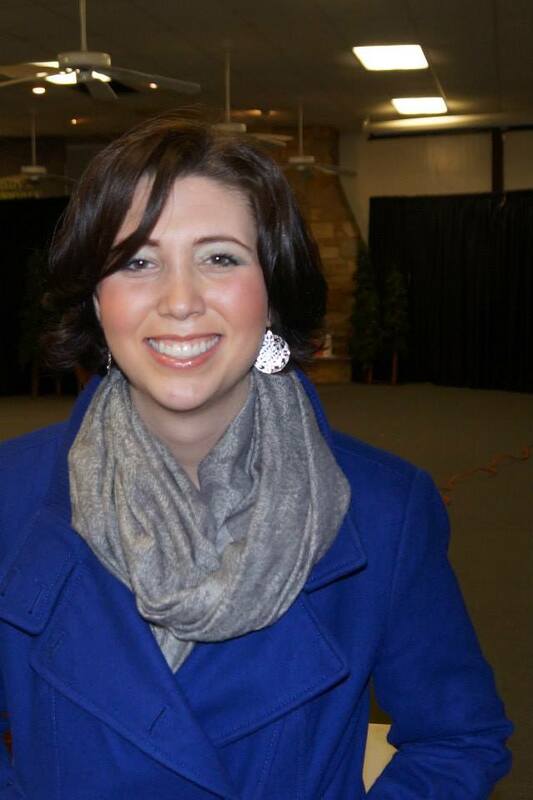 We were introduced to our new evangelist for Highland Park, 2015, Colleen Batchelder. From an early age, Colleen has had a passion for sharing her relationship with Jesus Christ with others. She's received several degrees in biblical studies and ministry, but was very recently diagnosed with a life-changing condition placing her at risk for Aortic Aneurysms. The average lifespan for people with this disease is approximately 45 years. Colleen embraced this as a calling from God to spend the rest of her life ministering to others instead of studying, and sharing her passion with the rest of the world. We are blessed to have her sharing her passion with us as Highland Park's first female evangelist, and are excited to welcome her into our Highland Park Family. As if $160.00 wasn't a low enough price for a week of youth camp, we're offering an opportunity to cut that in half. If you introduce a friend to Highland Park and they attend as a first-year camper, you will only be responsible for your $80.00 deposit. Please keep in mind, your friend must not have been a camper prior to this year, and must be entering grades 7-12 or graduating in 2015 (Sorry, TJ, you can't use Elliot as your friend). New registration forms are currently in the process of being printed, and will be mailed out soon, but you can download them here if you want to share Highland Park with a friend. On-line registration and payment is also available through our website at highlandparkcamp.org. This is the year that you won't want to put this off until July. We got really good at advertising last year, and are starting three months early! Make your plans now to join us for camp! With sadness, we want to take a moment to remember Charles “Bud” Hollenbach, a friend of Highland. Bud was killed in an automobile accident last Friday, October 17, 2014. He was a retired Pennridge High School teacher and , football coach. As a member of the Pennridge community, I had the privilege of being under Bud’s guidance, and his physical, educational, and spiritual leadership. I was blessed in my youth, by going to First Evangelical United Brethren Church, at Fifth and Market Streets in Perkasie, which is now known as The First United Methodist Church. As such I was the recipient of multiple mentors. In the course of our life's journey, we may be lucky to have one mentor, teacher, or coach, who makes significant impact on the person we become. I had many, of which Bud is so counted. His wife, Maggie was my confirmation teacher, and Bud was my high school Sunday school teacher, and later our adult Sunday school teacher. Bud’s Passion for coaching, teaching, and his family, was matched only by his passion for spreading the good news of the Saving grace and power of our Lord and savior, Jesus Christ! Please take a moment to remember Bud and say a prayer for his family. 5 Reasons to send your teenager to camp! As the times have clearly changed during the last 30 years, summer camps across the country have seen a steady decline as teens have become more independent. There are, however, some very good reasons for your child to attend summer camp that are more important now than they may have been when we were kids.